December 18 1933 - First flight of the Northrop XFT, American prototype fighter aircraft, single engined low-winged monoplane, designed and built to meet a United States Navy order for an advanced carrier based fighter. December 18 1908 - Wilbur Wright at Camp d'Auvours, 11 kilometres (6.8 mi) east of Le Mans. flies 99.8 kilometres (62.0 mi) in 1 h 54 min 2/5 s. rising to 110 m (360 ft) - A new world record. December 19 1908 - The world's first aerodrome, Port-Aviation, is opened 12 miles (19 km) outside of Paris. December 20 1969 - The highest-scoring North Vietnamese ace of the Vietnam War, Nguy?n Van C?c, scores his final victory, claimed as over an AQM-34 Firebee unmanned aerial vehicle but possibly over an OV-10 Bronco. The North Vietnamese Air Force credits him with nine victories, while the United States confirms seven. December 20 1957 - First flight of the Boeing 707 commercial airliner. December 21 1990 - Kelly Johnson, creator of the SR-71 and U2 spy planes dies, aged 80. December 21 1968 - Apollo 8, the first manned mission to the moon, is launched from the Kennedy Space Center in Florida. At 2 h:50 m:37 s Mission elapsed time (MES), the crew performs the first ever manned Trans Lunar Injection. December 24 1968 - Apollo 8 orbits the moon carrying Frank Borman, James Lovell, and William Anders. December 24 1944 - The people of the Philippines received a surprise when airplanes of 43rd Bombing Group flew over to drop a million Christmas cards; each one contained the words: "Merry Christmas and Happy New Year 1944 - General Douglas MacArthur. " December 27 1968 - Apollo 8 splashes down in the Pacific Ocean, ending humanity's first manned mission to the Moon. December 27 1922 - The Hosho, Japan's first aircraft carrier is commissioned. December 29 1940 - The Luftwaffe makes a devastating attack on London, making extensive use of incendiary weapons. December 29 1921 - Edward Stinson and Lloyd Bertaud set a world endurance record of 26 hours, 18 min and 35 seconds flying a BMW-engined Junkers-Larsen over Roosevelt Field. December 30 1968 - The world's first supersonic transport aircraft to fly, the Tupolev Tu-144, took to the air, powered by four Kuznetsov NK-144 turbofans. December 31 1908 - Wilbur Wright wins a prize of FF 20,000 from Michelin for the longest flight of the year - 124 kilometres (77 mi) from Camp d'Auvours. South African Airways and Etihad Airways have announced a major expansion of their strategic partnership, marking a new era of cooperation between the two national flag carriers. As part of the extended cooperation, South African Airways will launch a daily service between Johannesburg and Abu Dhabi on 29 March 2015, which will complement Etihad Airways' existing flights between the two cities to offer a combined double-daily frequency on the route. As a result, business and leisure travellers will benefit from the convenience of multiple options between Johannesburg and Abu Dhabi within the same day. More than 1,000 connections will also be offered each week over Etihad Airways' Abu Dhabi hub to key markets including the GCC region, Middle East, Indian subcontinent, and North and South East Asia. The airlines have also significantly developed their codeshare agreement to include a total of 49 routes, more than double the previous number. Subject to regulatory approval, Etihad Airways will place its 'EY' code on South African Airways' new Johannesburg-Abu Dhabi flights, in addition to 16 of the airline's other services from Johannesburg to key destinations across the African continent. In return, South African Airways will place its 'SA' code on 32 Etihad Airways routes beyond Abu Dhabi to a range of destinations worldwide. In addition, the airlines will enhance the alignment of their Etihad Guest and Voyager frequent flyer programs, with even more opportunities for members to earn and redeem miles. Benefits such as priority baggage handling, boarding and check-in, and airport lounge access across the airlines' networks will be provided based on membership tiers. South African Airways and Etihad Airways continue to explore areas for further cooperation, including joint sales and marketing programs and the coordination of procurement, facilities and airport operations. Together, these initiatives will optimise synergies between the airlines and provide guests with consistently high product and service levels at the most competitive price. Nico Bezuidenhout, SAA's acting Chief Executive Officer, said: "Our multi-layered partnership with Etihad Airways has been instrumental in allowing South African Airways to establish new connections between the African continent and other markets worldwide for its passengers. "Under the second phase of our cooperation, we will better serve established regions such as North America, Europe and Australia, while strengthening our presence in fast-growing markets across the Middle East and Asia. In particular, the codeshare expansion will support a planned adjustment of our network to strengthen access into the fast-growing China and India markets." James Hogan, Etihad Airways' President and Chief Executive Officer, said: "The partnership between Etihad Airways and South African Airways has been a resounding commercial success for both airlines. Since our codeshare flights were first placed on sale in July last year, we have placed more than 20,000 passengers onto each other's flights, and there is huge potential to significantly increase that number as the cooperation is developed in the coming years. "Importantly, our expanded partnership will enhance the benefits that Etihad Airways and South African Airways offer to business and leisure travellers, such as improved connections, enhanced opportunities to earn and redeem miles, and a more seamless experience." 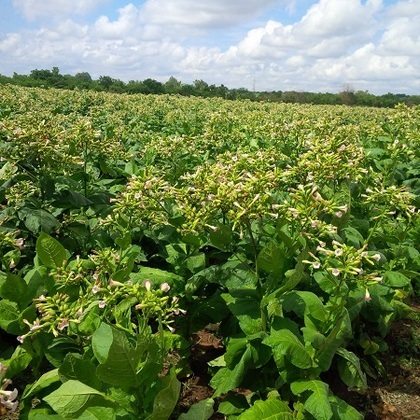 Boeing and South African Airways (SAA) announced today that South African farmers will soon harvest their first crop of energy-rich tobacco plants, an important step towards using the plants to make sustainable aviation biofuel. Boeing and SAA, along with partners SkyNRG and Sunchem SA, also officially launched Project Solaris, their collaborative effort to develop an aviation biofuel supply chain with a nicotine-free tobacco plant called Solaris. 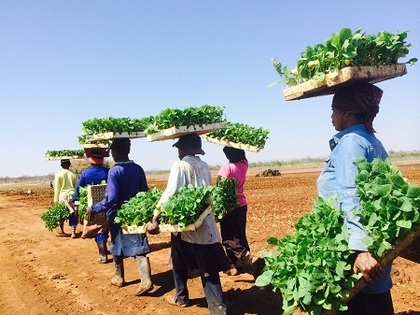 In Limpopo province, company representatives and industry stakeholders visited commercial and community farms where 123 acres (50 hectares) of Solaris have been planted. Oil from the plant's seeds may be converted into bio-jet fuel as early as next year, with a test flight by SAA as soon as practicable. "SAA continues to work towards becoming the most environmentally sustainable airline in the world and is committed to a better way of conducting business," said Ian Cruickshank, Environmental Affairs Specialist, SAA Group. "The impact that the biofuel program will have on South Africans is astounding: thousands of jobs mostly in rural areas, new skills and technology, energy security and stability and macro-economic benefits to South Africa, and of course, a massive reduction in the amount of CO2 that is emitted into our atmosphere." "It is very exciting to see early progress in South Africa towards developing sustainable aviation biofuel from energy-producing tobacco plants," said J. Miguel Santos, managing director for Africa, Boeing International. "Boeing strongly believes that our aviation biofuel collaboration with South African Airways will benefit the environment and public health while providing new economic opportunities for South Africa's small farmers. This project also positions our valued airline customer to gain a long-term, viable domestic fuel supply and improve South Africa's national balance of payments." The farm visits followed the announcement in August that Boeing, SAA and SkyNRG were collaborating to make aviation biofuel from the Solaris plant, which was developed and patented by Sunchem Holding. If the test farming in Limpopo is successful, the project will be expanded in South Africa and potentially to other countries. In coming years, emerging technologies are expected to increase aviation biofuel production from the plant's leaves and stems. Sustainable aviation biofuel made from Solaris plants can reduce lifecycle carbon emissions by 50 to 75 percent, ensuring it meets the sustainability threshold set by the Roundtable on Sustainable Biomaterials (RSB). Airlines have conducted more than 1,600 passenger flights using aviation biofuel since the fuel was approved for commercial use in 2011. Boeing is the industry leader in global efforts to develop and commercialize sustainable aviation biofuel. In addition to its collaboration in Southern Africa, Boeing has active biofuel development projects in the United States, Middle East, Europe, China, Japan, Southeast Asia, Brazil and Australia. Bell Helicopter, a Textron Inc. company, announced the successful demonstration of forward-firing capability for the Bell Boeing V-22 Osprey. 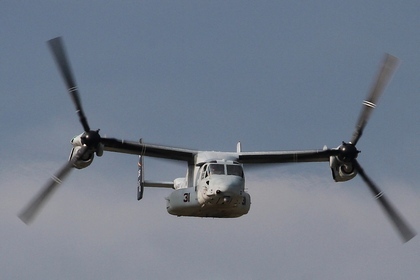 The exercise took place last month at the United States Army Proving Ground in Yuma, Ariz.
"The forward-firing demonstration was a great success," said Vince Tobin, vice president and program manager for the Bell Boeing V-22. "We've shown the V-22 can be armed with a variety of forward-facing munitions, and can hit their targets with a high degree of reliability. 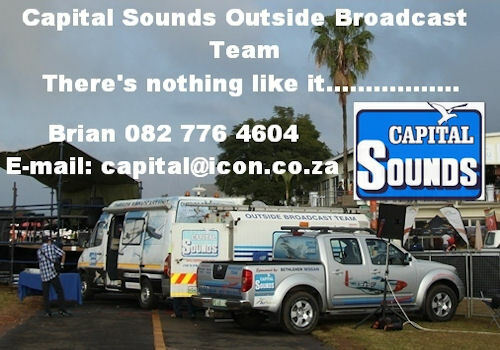 Congratulations to the team who has worked from initial design to completion of this demonstration." "Integrating a forward firing capability to the Osprey will increase its mission set," Tobin continued. "These weapons, once installed, will provide added firepower and reduce reliance on Forward Arming and Refueling Points (FARPs) which are sometimes necessary to supply short range attack rotorcraft in support of V-22 operations. Without the need for FARPs, V-22s can be launched more frequently, and on shorter notice." 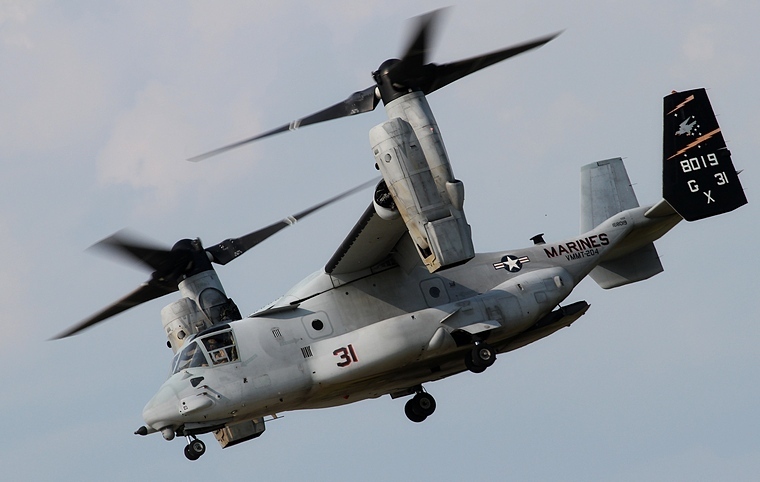 Through the end of the third quarter of 2014, Bell Boeing has delivered 242 MV-22 tiltrotor for the Marine Corps and 44 CV-22 for Air Force Special Operations Command (AFSOC). Bell Helicopter began initial design work on forward fire capability in mid-2013. 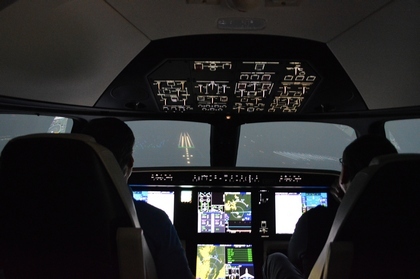 Embraer and FlightSafety International completed the training of the first class of pilots for the new Legacy 500 executive jet. These pilots, trained to operate customer jets, benefited from the complete customer support and services structure with advanced training technology. The simulator was qualified as Level C by the FAA (Federal Aviation Administration) and by Brazil's ANAC (Ag�ncia Nacional de Avia��o Civil). "Well before the entry into service of the Legacy 500, we built out a global support network for our customers," said Edson Carlos Mallaco, Vice President, Customer Support and Services, Embraer Executive Jets. "Our solid partnership with FlightSafety International resulted in the joint development of a complete high-level training solution." Training is being conducted at FlightSafety International, in St. Louis, Missouri in the U.S. FlightSafety International is also Embraer's training service provider for Legacy and Lineage executive jets, in addition to the E-Jets commercial aircraft. The Legacy 500 received certification from ANAC in August and from the FAA in October. EASA (European Aviation Safety Agency) certification is imminent. The Legacy 500 is now able to operate in Brazil, United States, and in countries that require FAA certification. The first Legacy 500 was delivered to a Brazilian customer last October 10. The Legacy 500 is capable of flying at 45,000 feet and is powered by two Honeywell HTF7500E engines, the greenest in their class. Taking off from airfields as short as 4,084 ft, the Legacy 500 has a range of 3,125 nautical miles (5,788 kilometers) with four passengers, including NBAA IFR fuel reserves, which enables it to fly nonstop from S�o Paulo to Caracas, Los Angeles to Honolulu, Teterboro to London, Moscow to New Delhi, Jakarta to Sydney, Dubai to Zurich, and Beijing to New Delhi. Photo � Lockheed Martin photo by David Key. U.S. Air Force crews ferried two MC-130J Commando II aircraft assigned to Air Force Special Operations Command from the Lockheed Martin Aeronautics facility located here, on Dec. 5. These aircraft will be operated by the 352nd Special Operations Group and will be based at Royal Air Force Mildenhall England. 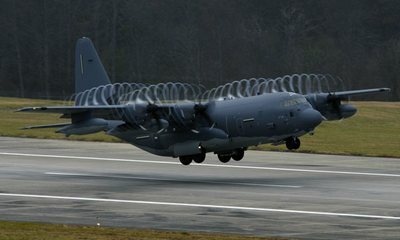 The Commando II supports such missions as in-flight refueling, infiltration/exfiltration, and aerial delivery and resupply of special operations forces. 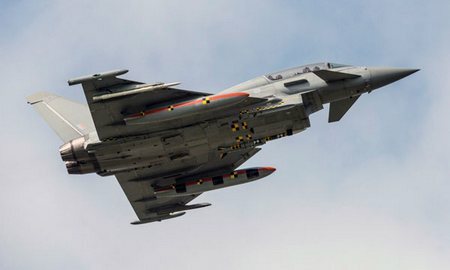 Lancashire, United Kingdom: A Typhoon aircraft has successfully completed the first in a series of live firings of the MBDA Meteor Beyond Visual Range Air-to-Air Missile. This continues the series of trials led by BAE Systems to demonstrate integration of the Meteor missile with Typhoon's weapon system. Following contract signature in 2013 for the full integration of Meteor onto Typhoon, the trials continue to demonstrate that the weapon operates effectively with the aircraft. Led by BAE Systems with support from MBDA, Selex, Qinetic and MOD, the trials were conducted in November 2014 at the MOD's Hebrides firing range in the UK and further developed and tested the integration of the missile with the weapon system as well as expanding the jettison envelope by conducting firings at different altitudes and speeds. The trials also tested the interface of the missile with the weapon system for both pre-launch priming and post launch datalink functions between the missile and radar. Test pilot Nat Makepeace flew the sortie and said: "The aircraft and the weapon performed exactly as expected. It's very easy and intuitive to operate, and the trials demonstrated that we can operate in an expanded envelope safely and accurately. This is a significant step forward for the full integration of the Meteor missile onto the Typhoon aircraft." Produced by MBDA, Meteor is an active radar guided missile designed to provide a multi-shot capability against long-range manoeuvring targets, such as fast jets, small unmanned aerial vehicles and cruise missiles in a heavy electronic countermeasures environment. Capable of engaging air targets during day and night, and in all-weather conditions, the Meteor will complement Typhoon's existing missile systems, providing pilots with a greater choice of weapons during combat. Further firing trials are scheduled to be carried out as part of the Meteor Integration contract to fully expand the launch envelope and weapon system integration which will culminate in the integration being complete in 2017. Captor E-Scan radar was signed in November which will give Typhoon one of the most advanced radar systems in the world, providing a wider field of regard than any other combat aircraft. Typhoon is already regarded as one of the world's leading swing-role combat aircraft and continues to be upgraded to provide decades of effective, relevant effect. 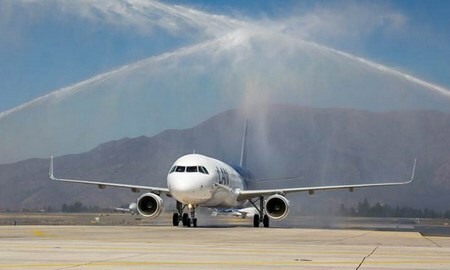 LAN Airlines, part of LATAM Airlines Group celebrated the arrival of its first A321 today at Santiago's Comodoro Arturo Merino Ben�tez International Airport. This marks a significant milestone as LATAM Airlines affirms its regional and global presence as the largest A320 operator in Latin America. The aircraft, the first of 48 of its kind ordered by the airline, will be operated on domestic routes within Chile and joins LATAM Group's existing fleet of nearly 230 A320 Family aircraft in operation. The A321 aircraft ordered by LAN have a one-class configuration with 220 seats and feature a new LATAM Airlines Group's cabin, which is a blend of LAN and TAM cabin designs. The A320 family's largest member offers the lowest fuel burn, emissions and noise footprint in its class, and allows for an extended operating range of up to 3,200 nautical miles while carrying a maximum passenger payload; all of which will enhance the efficiency of LAN's operations within Chile. The A320 Family is Latin America's and the world's best-selling single aisle product line with nearly 11,000 orders to date and more than 6,200 aircraft delivered to 400 customers and operators worldwide. Today more than 500 A320 Family aircraft are operated by airlines in Latin America. 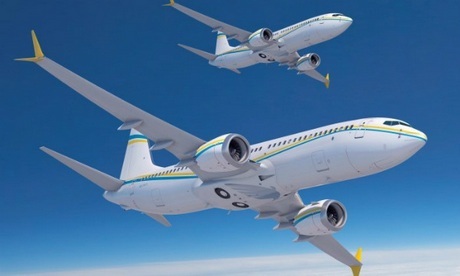 Boeing Business Jets today announced an order for two BBJ MAX 8s to Comlux, a Swiss-based VIP charter operator. This marks Comlux's first BBJ order. "The two BBJ MAX 8s are a great addition to the Comlux fleet because they give our customers the flexibility to fly farther and more comfortably thanks to the lower cabin altitude," said Richard Gaona, President and CEO, Comlux, The Aviation Group. "The long-range capability of the BBJ MAX 8 is critical to all of our customers, but especially our Middle East customers who often use Comlux aircraft for long-haul flights." The two BBJ MAX 8s will be outfitted with custom interiors at Comlux America, a certified BBJ completion centre. "This announcement from a leading charter operator highlights the unmatched range, passenger comfort and baggage capability that BBJ products provide," said Capt. Steve Taylor, president, Boeing Business Jets. "We are pleased to work with Comlux as they position their fleet for the future." 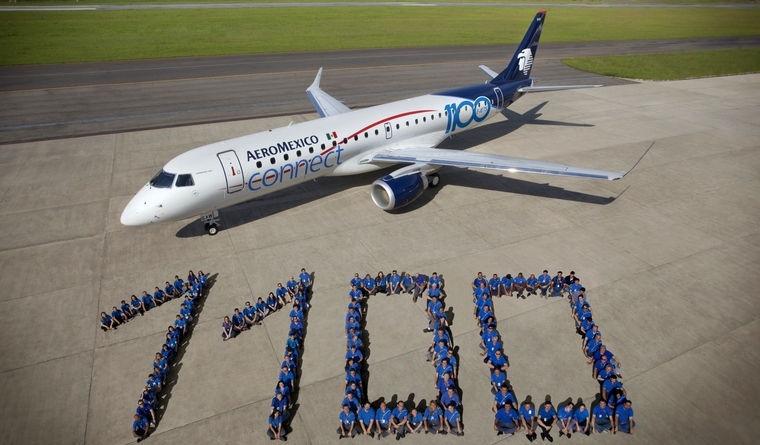 Mexico City, Mexico, December 11, 2014 - Embraer delivered the 1,100th E-Jet production aircraft, yesterday, during a ceremony held in the Aeromexico hangar, at the Benito Ju�rez International Airport, in Mexico City. The aircraft, an E190 model, is also the 200th aircraft from the E-Jet family flying in Latin America. "In the same year that we are celebrating the E-Jets' 10th anniversary of operations, worldwide, we are immensely proud to be recognizing yet another milestone that this versatile family of aircraft has now achieved," said Paulo Cesar Silva, President & CEO, Embraer Commercial Aviation. "As one of Embraer's largest operators, it is only fitting that Aeromexico is the recipient of the 200th E-Jet on the Latin American continent, as well as the 1,100th E-Jet worldwide. "Embraer has been a very important ally for over 10 years; currently, over 50 percent of our fleet is comprised of these Brazilian aircraft," said Andres Conesa, airline's CEO. "In Aeromexico we feel very proud to be the carrier that receives 1,100th Embraer E-Jet and integrate it into our fleet, one of the most modern in the industry." Aeromexico operates a fleet of 62 Embraer jets through its regional brand, Aeromexico Connect: 27 E190s, six E170s, three E175s, and 26 ERJ 145s. The first delivery of an E -Jet in Latin America occurred in 2005. Currently, eight airlines, from seven countries, operate the E-Jets in the region, where Embraer is the leader in the segment of jets up to 130 seats, with a 70% market share. Embraer is the only manufacturer to develop a modern family of four airplanes specifically targeted for the 70 to 130-seat segment. Since their formal launch of the program, in 1999, the E-Jets have redefined the traditional concept of regional aircraft by operating across a range of business applications. In June 2013, Embraer launched the second generation of the E-Jets family - the E-Jets E2 - the first of which is slated to enter service in 2018. Boeing and NASA recently completed the Ground Segment Critical Design Review and set the baseline design for the company's Commercial Crew Transportation System, moving a step closer to the planned early 2017 voyage to the International Space Station. 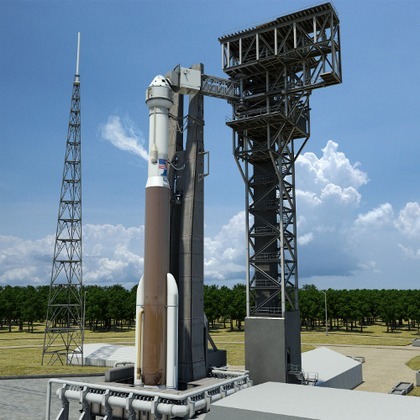 Completion of the Certification Baseline Review allows construction on system hardware, including the spacecraft and United Launch Alliance (ULA) launch vehicle adaptor, to begin. It also keeps the effort on track for achieving human-rated certification of the vehicle and ULA Atlas V rocket. "This is an important step towards achieving human-rated certification," said Boeing Commercial Crew Program Manager John Mulholland. 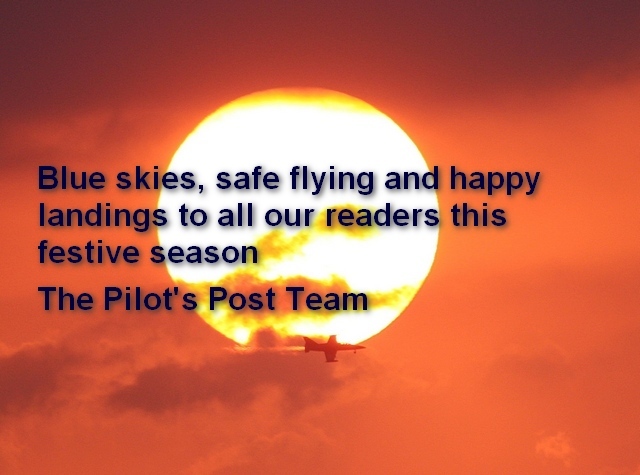 "This review provided an in-depth assessment of our training, facilities, operations and our flight processes." Setting the design was the first milestone under the $4.2 billion contract NASA awarded to Boeing in September. The second milestone in the Commercial Crew Transportation Capability (CCtCap) phase of the Commercial Crew Program, the Ground System Critical Design Review, evaluates all the ground operations and systems, mission operation systems, facilities, training systems, including mock-ups and trainers, and the control center. The Crew Space Transportation (CST)-100 spacecraft, being developed in partnership with NASA's Commercial Crew Program, will provide a U.S. system for taking astronauts and cargo to low-Earth orbit destinations, such as the space station. It will accommodate up to seven people, or a mix of crew and cargo, and features a weldless structure, wireless Internet, and Boeing LED "Sky Lighting" technology.